Charmed Paws Mobile Pet Spa comes to you and your pet for mobile grooming at your home. For older pets that have difficulty traveling, pets that get anxious or car sick, or for owners that don’t want to put their pets in a carrier, we have the perfect solution. We provide mobile dog grooming in North Wilmington and Greenville, Delaware, with a full pet salon in our brand new, fully-equipped grooming van. Additionally, we also serve Chadds Ford and Garnet Valley, Pennsylvania. We come to you and your pets with bathing, trimming, nail cpping, ear cleaning and other services for pets of all sizes. It can be especially difficult for owners to provide proper grooming for larger pets, as bathing can make a mess and transporting can be a challenge. 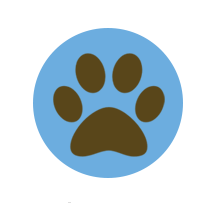 The Charmed Paws Mobile Pet Spa solves the problem, with professional service, expertise and complete amenities right in your driveway. Our spacious van accommodates small pets, puppies, large pets and older pets, with a 52-inch walk-in tub, quiet dryer, moving table to easily lift pets inside, heat, air conditioning and electricity all s upported by an eco-friendly ThermoKing Tripac 2 cylinder diesel engine. Keep your pet soft, clean and happy with mobile pet grooming that comes right to you. To be added to our waitlist please send us an email with your dog’s breed, approximate weight and your approximate location. Full grooming services are available for dogs 50 pounds or less and start at just $70. We also offer nails and brush outs starting at $25. Have a dog larger than 50 pounds? Contact us today. One-on-One Attention, No Cages, No Travel, Less Stress and a Happy Dog! We offer many programs . Call us at 302-415-2104 to get started today!